So you’re going to buy a house. Congratulations! Buying a house is likely one of the most exciting steps in anyone’s life. It’s a wonderful accomplishment that is also a financially smart move. If this is your first time applying for a home loan, we’ve got a few tips for you to consider. Even though we’ve broken things out into 9 steps, it breaks down into three bigger ideas. One: reduce/eliminate your debt. Two: save as much as you can. Three: be consistent. If you can take these three principles to heart, you’ll get approved for your first home loan six months from now. The most important thing to keep in mind when completing these steps is to be realistic. Don’t push yourself to buy a house outside of your budget. You’ll be much more comfortable if you buy a house within your means and then expand when you’re able. Simply put, don’t buy a house you can’t afford. The first step to doing this responsibility is to know how much you can comfortably borrow. Factor in a buffer of 5% as well. This will help cushion the blow, say, if you lose your job before you find the next one. The rule of thumb to follow is that your housing cost (in this case, the mortgage), should not be more than 30 to 35% of your gross income. This will help you calculate what a reasonable mortgage payment for you might be. Keep in mind, this needs to be a hard limit. Don’t let yourself waver on this or you might end up regretting it in the future. Figure out your monthly expenses and set a budget. You’ll want this budget to encompass room to pay for what your mortgage payment will be as well as extra to save for your mortgage itself. For example, your loan payment will be $1,800 a month, but your current rent is $1,500. Put aside the extra $300 as if you were already paying the mortgage. These six months will give you time to see if that is a comfortable payment for you every month and, bonus! You’ll be saving for your down payment as you go. 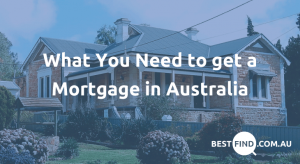 For at least the six months before you apply for the home loan, it’s a good rule of thumb to stick with the same job. This falls under the ‘be consistent’ umbrella. You want to set the stage for your future lending institution to see that you’re a responsible person. You pay your debts on time and can hold down a job. This will show your bank that you’re a person they should take a risk on because you’re low risk. If you do have to switch jobs, try to stick to the same career path. Save career changes for after you’ve been approved for the loan. This idea of stability also applies to your rental history. Ideally, you will have no outstanding debt when you apply for a home loan. The general rule of thumb is that your debts shouldn’t exceed 40-40% of your gross income. This means that the less debt you have going into the application process, the easier it will be to get approved. If you do have outstanding debts, you’ll want to start paying them off pronto. Once you’ve got outstanding credit card debt paid off, close the cards. Reduce down to one. This includes those tempting store credit cards. Once the debt is gone, keep your balance at zero. This is a pretty simple idea, but don’t go out and buy a new car right before you apply for a home loan. Once you get your debt paid off or paid down, you don’t want to incur more debt. 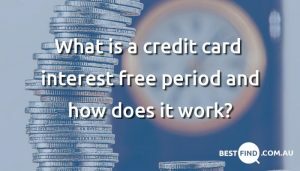 If you don’t have a credit history at all, you’ll want to start by applying for a credit card. Make purchases on the card each month and then pay off the balance at the end of the month. You want to set up a record to prove that you can handle debt and will make regular payments. Car loans and personal loans are also good ways to build up a credit history. But, these take a bit longer to pay off so if you don’t already have these (see #4), you’ll want to avoid taking them out until after you’ve been approved. Once you have paid off your debts the next step is to save as much as you can for your down payment. You can never have too much saved for your down payment. A higher down payment will make it easier for a lending institution to approve you. You will also likely get a lower interest rate (meaning you’ll pay less interest over the life of the loan). Win/win. This will also help you set up a ‘saving history’ that the bank can see. It will prove that you have the financial discipline needed for a long-term commitment like a home loan. 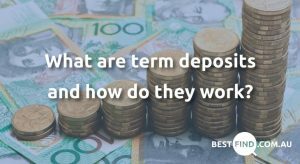 When you have time, compare some high interest savings accounts and term deposits. Avoid overdrawing your account or incurring any late payments during this six-month period. This goes back to the umbrella of consistency. You’re building a record for the bank to see that you’re a responsible person that can handle your finances. Everyone knows that if you apply for a credit card and get rejected, it hurts your credit. The same is true of applying for a mortgage. If your first application gets turned down, it will be harder to get approved in the future. Only you will have a good idea of when is the right time to apply for your first home loan. Maybe six months is unrealistic for you. That’s okay. Or maybe you’ve already been working on most of these steps and you’ll be ready to make the jump in three. Wait until you’re ready to apply. There’s no need to rush. Plus, home ownership comes with a lot of expenses that renting doesn’t. You’ll be happy that your finances are in order when your furnace gives up the ghost during your first winter in your new home. Getting approved for your first mortgage isn’t complicated. It can take some investment of your time to make sure that your finances are in order, but you can do it. If you take nothing else away from this article, walk away with the three principles in your mind: reduce debt, increase savings, and be consistent. If you do those things, you’ll be signing the contract of sale on your new home in no time! Liked this post? Share it with a mate! And don’t for get to follow Best Find on Twitter and Facebook.